""Tis the Season" , it's celebration time over at I Heart Cooking Clubs (IHCC). "This week is all about celebration..... food or drink for holiday parties and entertaining". I have made some lovely Tiramisu and it was so easy and simple. Recipe calls for store-bought sponge cake, if you are pressing for time, it would be sensible to buy some. But since I have some time, I made a sponge cake using Donna Hay's basic sponge cake recipe, which is really easy and takes just minutes. I've made only half a recipe of the Basic Sponge Cake for one round cake. When the cake is cooled, I used a round cookie cutter to cut through the cake and sliced them in half horizontally. And I have made my own mascarpone cheese, which I've made the day before. Will share that next year, which is next week! There's a Little Thumbs Up event featuring "Cheese" as the ingredient for the month, and I'll be posting the Mascarpone Cheese then! To make the cream, beat mascarpone cheese, cream and icing sugar until thick. To make the Tiramisu, one half slice of sponge cake, is placed at the bottom of the glass which I'm serving in. The sponge slice is spooned over with a mixture of espresso coffee and Kahlua. Spoon some of the Mascarpone-Cream mixture over, then repeat with the other half of the sponge cake, the Coffee-liqueur mixture and the Mascarpone-Cream mixture. Refrigerate for about an hour to chill. Sprinkle with some grated dark chocolate before serving. Yum! Smells wonderful with the Kahlua! Press half of the sponge pieces into the bases of 4 x 1-1/2 cup-capacity (375 ml) glasses. Combine the coffee and liqueur and pour half over the sponge. Place the mascarpone, cream and icing sugar in a bowl and whisk until thick. Spoon half into the glasses. Repeat with remaining sponge, coffee mixture and mascarpone mixture. Refrigerate for at least 30 minutes. Sprinkle with chocolate to serve. Preheat oven to 180C (350F). Sift the flour 3 times. Set aside. Place the eggs and sugar in the bowl of an electric mixer and beat for 8-10 minutes or until thick and pale and tripled in volume. Sift the flour over the egg mixture and gently fold through. Fold through the butter. Grease 2x20-cm round cake tins and line the bases with non-stick baking paper. Pour half the mixture into each tin and bake for 25 minutes or until the cakes are springy to touch and come away from the sides of the tin. Cool on wire racks. 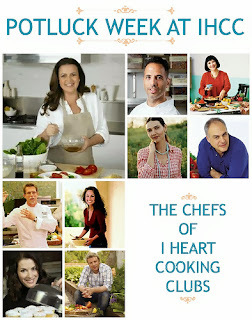 To view what my friends are serving, drop by I Heart Cooking Clubs. Wishing everyone A Blessed Christmas and A Wonderful 2014. Today is Bake-Along #56! Time just passes by! 2013 is coming to an end soon, and the new year is just round the corner. Another year older. But then age are just numbers! Our theme for Bake-Along #56 is Christmas Log, selected by my baking buddy, Zoe, for the coming festive Christmas. I have always wanted to bake a Christmas Log, though why I have never attempted it before is because I am not a "cake-decorater" person! LOL! And I have always put it off year after year! From the following photos, you would see that cake decorating is certainly not one of my skills! Excuse the poorly placement of the "decorating ornaments", I am not one who would spend hours on decorating! Even if I did spend hours on the decorating part, it would still look the same! LOL! I really envy that some of my fellow blogger friends seems to have a natural flair in decorating and great photography skills! I really wanted to make a Christmas Log, from Cake, by Rachel Allen, but I do not have some of the ingredients and since it is almost last-minute, I've decided to use a simple recipe from one of our local cookbooks, "Elegant Swiss Roll" by Kevin Chai. Which is just as well, as I've bought this book "centuries ago" and have never made anything from it! Firstly the sponge roll is baked, and left to cool in the pan. I followed the tips from Rachel Allen's book, to cover the sponge cake still in the pan, with a slightly damp tea towel until the it cools to room temperature. Lift the cake together with the parchment paper onto a work surface, and spread the chocolate buttercream all over the surface. Using the parchment paper as a guide, gently roll the sponge, place seam side down. Slice two pieces from both ends at a diagonal, place one at the side of the log and the other on the top, using some of the buttercream to stick it in place. Spread the log with the buttercream, and use a fork to make lines all over, resembling a log. Decorate as desired. Since I do not have any suitable ornaments to decorate the swiss roll, it look rather plain, so I have sprinkled some colour sprinkles all over, with dusting of icing sugar for a white Christmas! It certainly is not one of the prettiest Christmas log but I am quite happy with it! Yay! I've finally made my first Christmas Log! Christmas greetings from Santa! Have you been good and nice this year? A slice of the Christmas Log. The cake is so, so soft, light, fluffy and yummy! And the chocolate buttercream is so smooth and silky. One slice is not enough! Preheat the oven to 220C, grease a 25x35cm (10x14-inch) baking tin, line with baking paper, grease paper, extending the sides of the pans for easy removal of the cake later. Using electric mixer on full speed, beat eggs and sugar until light and fluffy. Gently fold in sifted flour and cocoa powder. Add in melted butter, mix until well combined. Spread mixture into prepared pan. Bake for 8 minutes. Leave to cool. (I covered the cake still in the pan, on a wire rack, with a lightly damp clean kitchen towel, covering the cake until it cools to room temperature). Hold both sides of the parchment paper, lifting the cake out of the pan, onto a work surface, cake still on parchment paper. Spread butter cream over cake. Roll gently using paper to lift cake and guide roll. Cut small section slanting both ends. Garnish as a log. Spread with chocolate butter cream. Scrape surface with a fork. Decorate as desired. Beat butter and sugar until light and fluffy using a ballon whisk, stir in vanilla extract. Add in hot water, a tablespoon at a time, mix well. Continue to whisk until smooth and homogeneous cream is obtained. Add in the melted chocolate and mix until well combined. To join our blog hop, bake any Christmas Log and link your post to our Bake-Along linky. For our next Bake-Along, we will be moving on to a Chinese New Year theme! Isn't this exciting? The theme is "Theme : Chinese New Year Cookies". Bake any cookies for Chinese New Year, and link your post to the our blog-hop linky which will start on 6th January right up to 27th January. The linky will stay open for three weeks, yay! Everyone is welcome! It has been ages since I last baked a bundt cake. A couple of weeks ago, I was thinking of having plain butter cake, not just any butter cake, but one that is baked in a bundt pan! LOL! Why is it that sometimes the pan that is used to bake the cake is so important? I have no idea, really, except that I want a plain bundt cake! I took one of my cookbooks off my bookshelf, "Cake Simple" by Christie Matheson, who is the co-author behind the famous cookbook "Flour" by Joanne Chang, and several other cookbooks. Cake Simple is a lovely book, all on bundt cakes, big and minis, and this is the fourth recipe that I've tried so far, and all are wonderful. This cake uses vanilla bean pod and a little bourbon, which I've replaced with rum, to soak the vanilla seeds before mixing into the batter. 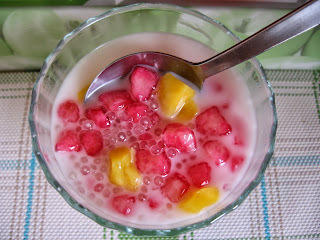 Other changes I've made was to replace the buttermilk with a mixture of homemade yoghurt and milk. Both brown and caster sugar are used for this cake. As usual, I have reduced the sugar, for the caster sugar from 1 cup to 1/2 cup ; and for the brown sugar, from packed 1/2 cup to loosely packed scant 1/2 cup. And the sweetness turns out just right. The cake is very moist, tender and absolutely delicious! It has a soft dense crumbs and the taste of the rum is lightly visible in each bite. This is one lovely cake. 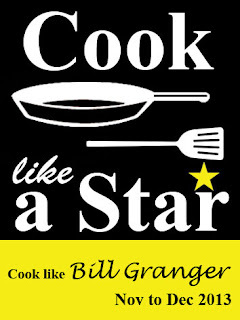 Another winner recipe from this book. I did not make the glaze as it does not need it, already good on its own. Preheat the oven to 325F (165C/Gas 3). Brush the inside of a 10-cup (2.4-L) bundt pan thoroughly with the melted butter and dust it lightly with flour. (Use a pastry brush to help distribute the flour and tap out any excess). Pour the bourbon into a small bowl. Scrape the seeds from the vanilla bean into the bourbon and stir to blend well. (reserve the scraped vanilla pod for making the glaze). In the bowl of a stand mixer fitted with a paddle attachment, beat the butter with the granulated sugar and brown sugar on medium speed for 2 to 3 minutes, until light and fluffy. Add the eggs, one at a time, and then the egg yolk, beating well after each addition until incorporated. Beat in the bourbon-vanilla mixture. With the mixer on low, add the flour mixture (in two increments) alternately with the buttermilk, beginning and ending with the flour and beating just until combined. Pour the batter into the prepared pan, smooth the top, and bake for 50 to 55 minutes, until a cake tester inserted in the center comes out clean. Let the cake cool in the pan on a wire rack for about 15 minutes, then invert the cake onto the rack and let it cool completely. Drizzle the glaze over the cooled cake, let the glaze set for a few minutes, and serve. 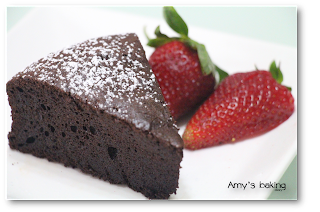 The cake can be made 1 day in advance and kept in an airtight container at room temperature. In a very small nonreactive saucepan over low heat, combine the milk and the vanilla bean pod and heat to scalding (when small bubbles form around the edge of the milk but before it begins to boil). Remove the milk from the heat and let steep with the vanilla bean pod until the milk is cool. Meanwhile, combine the confectioners' sugar with the salt in a small bowl. Remove the pod from the cooled milk. Add 2 tablespoons of the vanilla-infused milk to the sugar-salt mixture, and whisk until smooth and pourable, adding more milk as needed to obtain the desired consistency. I am submitting this post to "Baby Sumo's Christmas Recipe Collection 2013" event hosted by Baby Sumo of Eat Your Heart Out. Made this Beijing Sweet and Sour Spareribs for one of our weeknight dinner dish, a lovely dish, eaten with plain white rice. This recipe is taken from the cookbook, Martin Yan's, "China". The spareribs are first marinated with some cornstarch, egg, salt and Chinese rice wine which I have used a tablespoon more than the recipe calls for. (I have this habit of using more Chinese rice wine in most recipes). Keep refrigerated for an hour or so, then fry in hot oil on both sides until browned. Remove, drain and kept aside. The ingredients for the sauce are mixed in a bowl and kept aside. Saute the garlic and chilli until fragrant, add the sauce, bring to a boil, the spareribs are added in, stir for a minute, and cornstarch solution is stirred in to thicken the sauce. Serve hot. This is a lovely dish, though I've got to adjust the seasoning amount according to my taste. I have used a lesser amount of Chinese black vinegar than the recipe calls for, as I find that 3/4 cup is a little too much for my taste, hence there isn't much sauce. I have used only 1/2 cup of the black vinegar and the dish is sour enough! The next time when I cooked this, I would definitely adjust the seasoning ingredients amount for more sauce.This dish is sweet, sour, and salty, just as the name implies, very nice eaten with plain white rice. To make the marinade, combine the eggs, cornstarch, rice wine and salt in a large bowl and mix well. Add the spareribs and stir to coat evenly. Let stand for 1 hour, or cover and marinate in the refrigerator overnight. In a wok, stir-fry pan, or 2-quart saucepan, pour oil to a depth of 2 inches and heat to 350 degrees F on a deep-fry thermometer. Working in batches, deep-fry the spareribs, stirring gently to prevent the pieces from sticking together, until golden brown and crisp, about 10 minutes per batch. Remove with a wire strainer or slotted spoon to paper towels to drain. Carefully pour the oil into a heatproof bowl, reserving the oil. To make the sauce, combine the sugar, vinegar, Worcestershire sauce, and salt in a small bowl and mix well. Place a wok or stir-fry pan over high heat until hot. Add 1 tbsp of the served oil, swirling to coat the sides. Add the garlic and chile and cook, stirring, until fragrant, about 20 seconds. Add the sauce and bring to a boil. Add the spareribs and cook until heated through, about 1 minute. Add the cornstarch mixture and boil until the sauce thickens. Discard any remaining oil, or strain and save for another use. "December Potluck" is this week's theme at I Heart Cooking Clubs (IHCC), where we are currently cooking from Donna Hay's recipes. 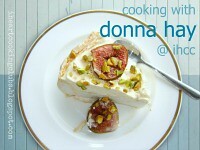 For our Potluck week, we are however, free to select any recipes from our previous featured chefs, and for this week, I'm cooking with our current featured chef, Donna Hay. During one of the weeknight dinner, when it was just the kids and myself, having dinner at home, when hubby was out of town, I made this Baked Fish Fillet with Tomatoes and paired it with Herbed Couscous. According to the recipe, any white fish fillet would do, and I have used tilapia fillet. Cherry tomatoes, lemon zest, capers and garlic are first roasted, drizzled with a little olive oil for about 20 minutes. The fish fillets are then added in, sprinkled with salt and black pepper, and baked for another 20 minutes until fish is cooked through. Drizzle with lemon juice and serve immediately. I have served this with Donna Hay's, Herbed Couscous. The couscous recipe was taken from here, where it was originally served with harissa pork. The herbs used for this couscous are mint leaves and chives, both of which I have in my small herb garden. As usual, couscous are fairly easy to cook. I've added some salt and a squeeze of lemon juice to taste. A simple, quick and delicious meal that we really enjoyed. Preheat the oven to 180C (350F). Place the tomatoes, lemon zest, garlic and capers in a baking dish. Drizzle with half of the oil and bake for 20 minutes. Add the fish fillets to the baking tray, drizzle with the remaining oil and cook for a further 15-20 minutes or until golden and cooked through. Drizzle with lemon juice and sprinkle with salt and pepper. Serve with the tomatoes and a green salad. Serves 4. Place the couscous, onion, mint and chives in a bowl and toss to combine. (I've added some salt and lemon juice to taste). I was watering my herb plants one morning a couple of weeks ago, and thinking how nice it is to make some bread using the combinations of herbs from my garden pots. Later in the day, I found myself reaching out for this book, one of the first book I bought, on bread machines recipes when I purchased my bread machine, probably about 8 years ago. From this book, I have tried only several recipes, one of them was Garden Herb Flatbread, which I've posted three years ago, and a few others, that I've tried before I started this blog. Found this recipe Herbed Green Onion Bread that uses the herbs, all of which I have right in my garden pots. Freshly baked Herbed Green Onion Bread. Fresh herbs speckled all over the bread. The recipe uses dried herbs,but there's an option to use fresh herbs instead of dried, as stated in the book "If you grow your own herbs, take advantage of their fresh flavour by substituting three times the amount of fresh herb for the dried form in this onion loaf." This recipe was meant to be kneaded and baked in the bread machine, and the herbs are firstly sauteed with some butter before this herb mixture is added to the rest of the ingredients. I have made some changes, firstly, I used the bread machine to knead the dough until the first rising, remove the dough, shape it and left it to rise in a loaf pan, then proceed with the baking in the oven. And secondly, I did not saute the fresh herbs, instead I used them fresh, and place the butter in the bread pan along with the other ingredients. This bread has lovely oven spring, it really rises further during baking. Once the bread is cooled, as I sliced it, I can feel the softness of the loaf. It has a lovely, soft and fluffy texture, very nice! And it smells wonderful, with a light fragrance of the herbs, not very strong, but just about right. Sliced a few slices, and kept the rest for breakfast the next morning. It remains as soft and fluffy the next morning, as pictured above, when I sliced the rest of the loaf for our breakfast. Really good eaten with just a slather of salted butter, with a cup of hot coffee. I had this the next evening as a simple sandwich with onion omelette, salad leaves and chilli sauce, the bread still remains just as soft. This loaf makes a great sandwich bread. In small saucepan, cook the green onions, basil, thyme and rosemary in hot margarine until green onions are tender, stirring occasionally. Cool slightly. Add the green onion mixture and the remaining ingredients to the machine according to the manufacturer's directions. Select the basic white bread cycle. 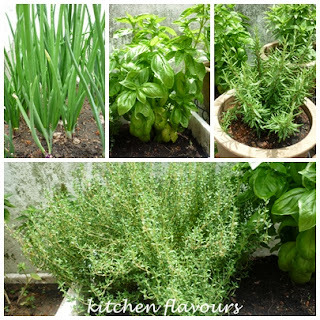 ~ used fresh herbs, and did not cook the herbs. ~ place the milk, butter, chopped fresh herbs, egg (beaten lightly), in the bread machine pan. Add the flour, place the sugar in one corner, salt in another corner, make an indentation in the centre of flour, add in the dry yeast. Select Basic Dough Cycle (right up to the first rise). ~ at the end of the cycle, remove dough, roughly roll out dough to 8" x 10". Dough will be a little sticky, sprinkle lightly with flour all over the work surface and top of dough. Roll up from the shorter end, press edges to seal, place dough seam side down in a greased 9"x5" loaf pan. Cover with greased cling wrap and leave to rise until doubled in size. ~ preheat oven about 15-20 minutes before baking, at 175C, with a rack placed at one level below the centre of the oven. ~ remove cling wrap, place pan in oven and bake for about 35 minutes until bread is cooked, test by knocking the bottom of the bread with your fingers, if it sounds hollow, it it cooked, otherwise, baked for a few minutes more. ~ remove bread from pan and let cool completely on wire rack. It is a long school holiday break right now, and my sister and nieces came over to stay at my place for the holidays. We were out on most days. Yesterday I was feeling lazy and decided to stay home with the younger kids, while my sister and my other older nieces went shopping. We ordered home delivery pizzas and I made this Honey Lemon Chicken Wings. These are fairly easy, simply bake the chicken wings in the oven for half an hour. Meanwhile, make the sauce, with only three ingredients, honey, lemon juice and garlic. Mix them all together. According to the recipe, remove the pan from the oven, pour the sauce and continue baking for another 20 minutes. I have however, pour half the sauce over the wings, bake for 10 minutes, remove the pan, turn over the wings, pour the remaining half of the sauce over the wings, and bake for another 10 minutes. Place tray on the upper level for about 3-5 minutes more to get them all really brown and nice. Advise to go easy on the lemon juice, start with a few tablespoons, taste and add more if needed. Chicken wings, either roasted, fried, or baked would make a great party food, especially if you are hosting one this coming Christmas. December is a busy month for most of us, there are Christmas shopping to do, presents to wrap, menus to plan, and despite all that, it is a fun busy month, especially when we have families from out of town stayed over for the holidays. Before you know it, holidays will be over soon, the new school term starts, and life gets back to daily routine! Enjoy this month while it lasts, with only less than three more weeks to go, before the New Year sets in! Place chicken wings in baking dish. Sprinkle with salt, roast for 30 minutes. Place lemon juice, garlic and honey in small bowl and stir until honey has dissolved. Pour over wings and stir till well coated. "Fill The Tins", is the theme for this week at I Heart Cooking Clubs (IHCC), where we are currently cooking from Donna Hay's recipes. Cookies and treats, are just perfect for the coming festive Christmas. There are quite a number of cookies that I wanted to try from Donna Hay's recipes, and decided to try this Rum And Raisin Cookies. Ingredients used are raisins, rum, chocolate chunk (I used choc chips), oats, cocoa powder, butter, flour and brown sugar. I like it that these cookies are not too sweet. Recipe states that it will yield about 15 cookies, but I've got doubled that amount, to be exact, 33 cookies, and the sizes are in the range of 2-1/2" to 3" cookies. While these are baking, it smells wonderful with the aroma from the rum. These cookies are chewy with cake-like texture. In general, my family prefers crispy cookies, but these were all gone in three days. My son like eating these cookies with a glass of hot milk, to dunk in! Rum and Raisin Cookies are perfect for coming the festive season. * To check if the cookies are done, look at the bottom, not the top. If you wait until the top looks right you risk overcooking them. To check, lift a cookie with a spatula so you can see underneath. The bottom should be deep golden. Cool on trays as the cookies will continue to cook after you've removed them from the oven. Roasted chicken seems to be a favourite with most people. Especially children, they would seem very happy when they see a whole roasted chicken being served at the dinner table, and would be waiting eagerly for that first cut of drumstick! The festive Christmas is coming soon, roasted chicken is a superb meal to serve to family and guests. Nobody would say no to tender roasted chicken, served with some favourite side dish. My favourite part of any cooked chicken are the wings! What's yours? I served this with some warm potato salad and some greens. Yummilicious! Each year my siblings and I, would celebrate Christmas over at my younger sister's place. We would sometimes have roasted turkey with stuffings or roasted chicken, whatever we chose to make, everyone will be eagerly waiting for dinner (and the presents, of course!) with the same question every other minute or so, "are the roasts ready?" !! Rub the chicken all over, including the cavity, with the salt and pepper. In a small bowl, stir together the mustard, basil, and garlic and slap it hard onto the bird everywhere you just rubbed the salt and pepper. Refrigerate overnight or for at least 1 hour. Preheat the oven to 400F. Place a rack in a roasting pan. Carefully lay the bird on the rack, breast side down. Drizzle with 1 tablespoon of the oil. Roast for 30 minutes. Thrust a wooden spoon into the chicken cavity and flip the bird over so the breasts are up, drizzle with the remaining oil. Continue to roast until the bird is golden brown and quite done, about 30 to 40 minutes longer. Enjoy. It's our bake no. 28 over at The Home Bakers (THB), where we are currently baking from "Coffee Cakes" by Lou Seibert Pappas. We are almost halfway thru the book and for this week's bake, it is my turn to select a recipe, and I have selected Greek Almond-Crusted Citrus Loaves. I love almonds and citrus and these combination sounds good to me. According to the book, "In Greece, this toasted almond and sugar-capped yeast bread rings in the New Year. Imbued with citrus zest, it has a lovely feathery texture and hint of sweetness." Originally, this bread is shaped into a flat round loaf and placed in a 9" pie pan or a baking sheet. Let rise until doubled in bulk, proceed with the baking and is cut into wedges to serve, white still warm. But I have made them into round pull-apart rolls instead. I've made half a recipe. The dough is easy to work with, soft and smells really nice, with the zest from both the lemon and orange. 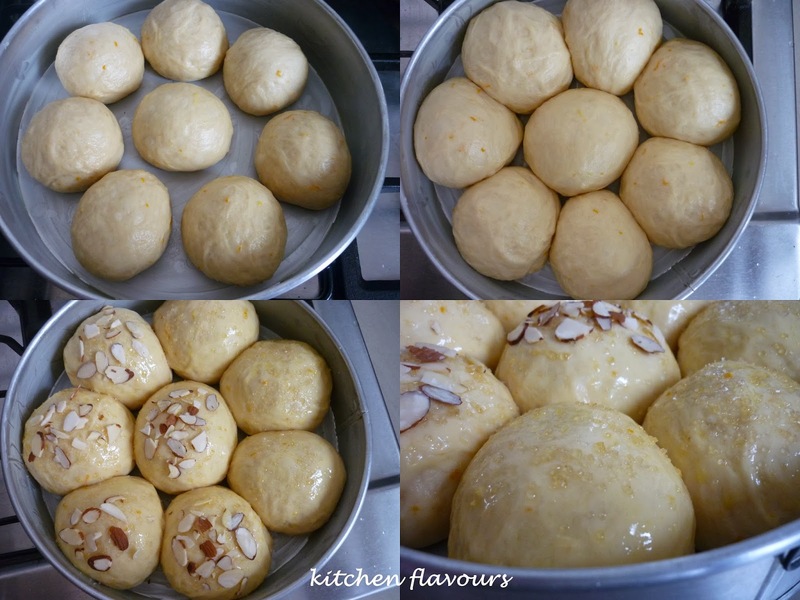 When the dough has completed the first stage of rising, I have divided the dough into 8 pieces, shaped into round balls and placed in a well-greased 9" round cake pan. Cover with greased cling wrap and let rise until doubled in size, as pictured above. Brush the top of rolls with egg white and sprinkle with flaked almonds and sugar. I have used demerara sugar and left three of the rolls without almonds, as my daughter does not like nuts. Bake in a preheated oven for about 30 minutes until golden brown. Texture of bread is very soft and fluffy. And there are bits of lemon and orange zest in each roll. Smells so citrusy fragrant. I like the flaked almonds, which added a nice nutty crunch, and some sweetness from the demerara sugar. 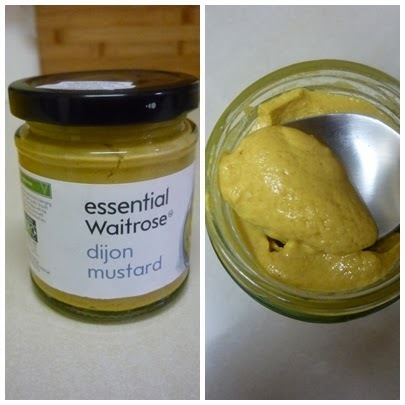 Very good when eaten while still warm, with a spread of salted butter. In a small bowl, sprinkle the yeast over the warm water, add the pinch of sugar; and stir until dissolved. Let stand until foamy, 10 minutes. In a large bowl, combine the milk, butter, the 1/3 cup granulated sugar, and salt. Add the eggs, vanilla and almond extracts, orange and lemon zests, and 1 cup of flour. Using a wooden spoon or a heavy-duty electric mixer, beat until smooth. Add the yeast mixture and 1 more cup of the flour and beat until smooth. Gradually beat in enough of the remaining 2 to 2-1/2 cups flour, 1/2 cup at a time, to make a soft dough. Turn out onto a lightly floured board and knead until smooth and elastic; 8 to 10 minutes. The dough should be soft. Place in a buttered bowl, turn to coat, and cover with plastic wrap or a damp towel. Let rise at room temperature until doubled in size, about 2 hours. Lightly butter two 9-inch pie pans or 2 baking sheets. Turn the dough onto a floured board an knead lightly until smooth, 1 or 2 minutes. Divide the dough in half and place in the prepared pans. Cover with a tea towel and let rise until doubled in size, about 45 minutes. (Divide the dough into 8 equal pieces, about 80-82gm each, roll each pieces into a round. Place in a well-greased round 9" cake pan. Cover with greased cling wrap and leave to rise until doubled in size. Proceed with the following instructions below). Preheat the oven to 350F. For the topping, brush the loaves with the egg white and sprinkle with the almonds and sugar. Bake for 25 to 30 minutes, or until the loaves are golden brown. Let cool, then transfer from the pans to wire racks. Serve warm, cut into wedges. To view other members' bake, please drop by The Home Bakers (THB). We are a group of home bakers who are currently baking from "Coffee Cakes" by Lou Seibert Pappas, until each recipe from this book has been baked. This is our bake no. 28 and we have 32 recipes more to go. If you are interested to be a member and join in our bakes, you may drop me an email at kitchenflavours@yahoo.com.